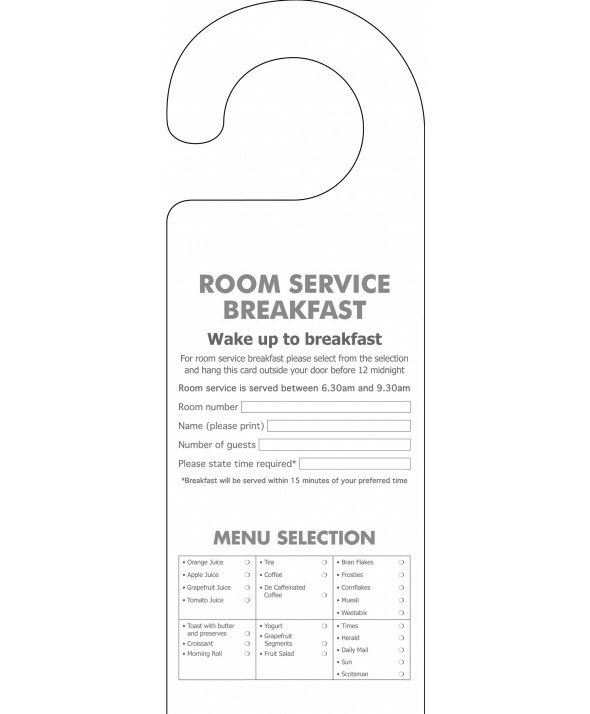 For an affordable solution to taking guest breakfast orders, look no further than our breakfast door hanger range. We know that when it comes to disposal hotel door hangers that will only be used once, it doesn’t make sense to use overly expensive materials. 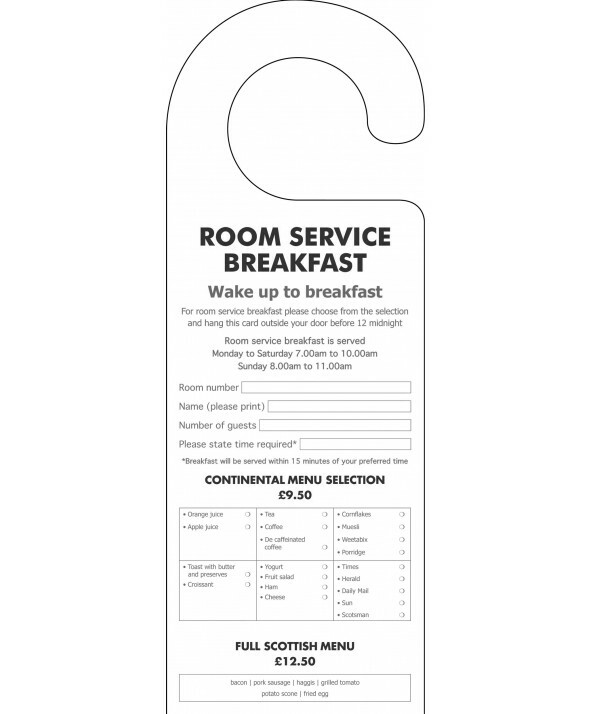 That’s why our breakfast door hangers are part of the Hotel Door Hangers budget range, featuring a simple black and white design on 300gsm silk board. If you would like to create your own breakfast door hanger, please visit our Bespoke Design page or Contact Us today.